Blockchain technology is undeniably a brilliant invention, which, if implemented correctly, can make a huge impact across governments and industries. 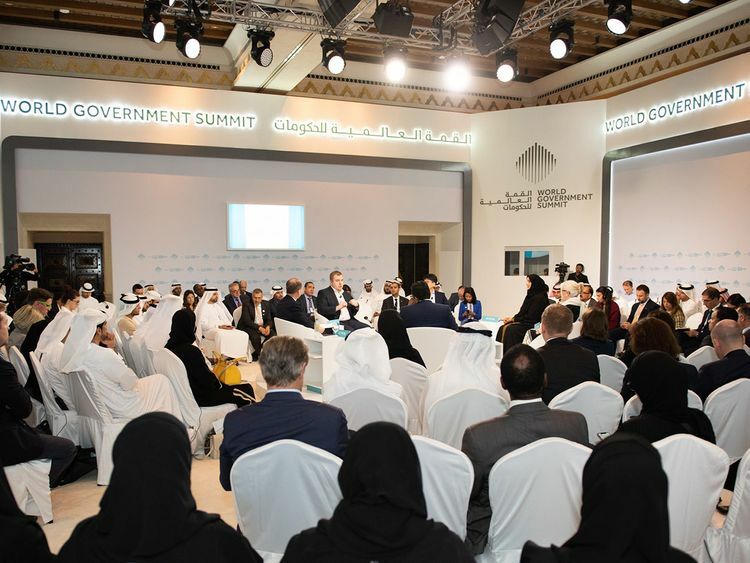 The long journey to its successful implementation was discussed at a session on ‘The Road to Digital Economy: The Role of Blockchain’, held in partnership with International Monetary Fund (IMF), at the World Government Summit 2019 today. Delegates at the session included Her Excellency Dr. Aisha Bin Bishr, Director General, Smart Dubai, UAE, Siim Sikkut, Government Chief Information Officer, Republic of Estonia, Therese Couture, Director of the Treasury Operations Department, World Bank, Nelson Chow, Chief Fintech Officer, Hong Kong Monetary Authority, and Promoth Manghat, Executive Director and CEO, Finablr. The session focused on blockchain technology implementations by governments, its opportunities and limitations, diversified application of the technology, regulatory issues and the increasing public interest. “Bringing stakeholders together to implement the blockchain technology is a challenge that governments face. We know that blockchain can make life easier and secure, but the basic implementation needs work. The Dubai government is working tirelessly to facilitate the right implementation of this technology,” said Dr Aisha Bin Bishr. Speaking about the use of Blockchain in the Estonian government, Siim Sikkut, said: “Implementing technology for the effective functioning of our government is important to us. Technology is generally driven by efficiency and we have been experimenting with various digital innovations. Therese Couture spoke about financial inclusion, while the panel discussed how an astounding number of over one billion people do not currently have bank accounts which should also be prioritized along with the inclusion of advanced technologies. Smart Dubai is also increasingly pioneering towards making Dubai a technologically and environmentally advanced city. It has embarked on a journey to make the Dubai government paperless by 2021. The session concluded with a roundup on the effectiveness of blockchain technology and the transformative power it possesses to improve governments and organizations.